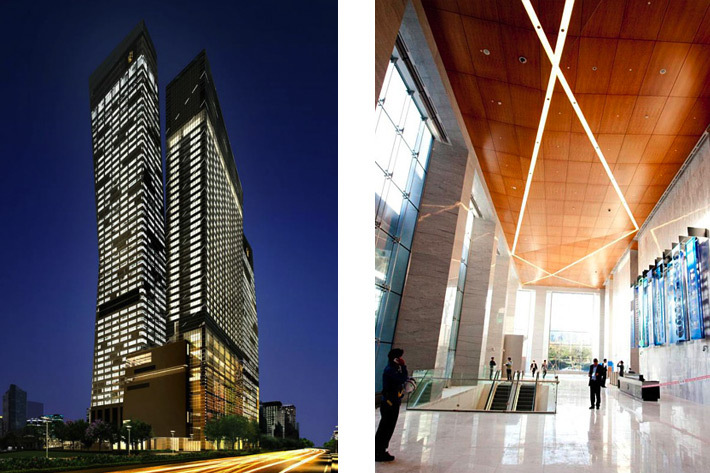 The US$2.2B Seoul International Financial Center in the Yeouido financial district is a 5.4 million square-foot mixed-use development comprised of three Class A office towers, a Conrad Hilton hotel and a 50,000 square meter subterranean shopping mall. One of the most ambitious retail projects in South Korea in a decade, the mall also features a cineplex, 35 restaurants and nearly 100 stores. CD+M provided architectural lighting design of the contemporary plaza, soaring facades, office lobbies and shopping mall interiors. 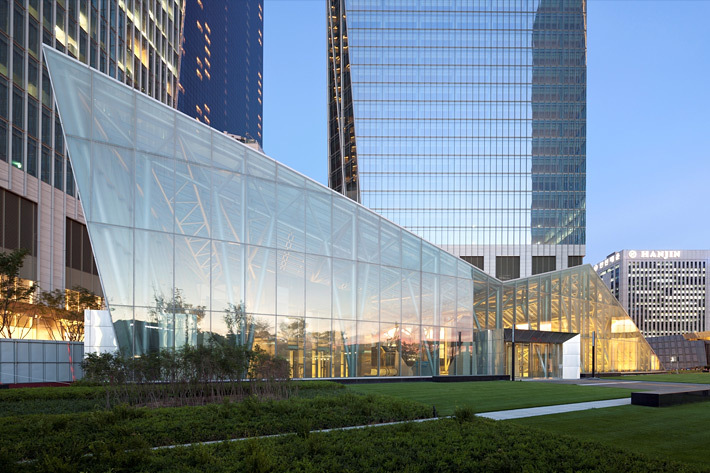 IFC Mall was built under a glass pavilion aimed at showcasing natural light on all three lower level floors and the outdoor plaza features a grassy lawn and seasonal exhibitions by artists and sculptors.